Switchable X1/X10 attenuation with reference switch positions. Break-resistant center conductor & wide compensation range. Flatter response, sharper leading edges. Faster rise time and replaceable cable probe head tip and ground lead. Max. input voltage: 600V (DC-peak AC). 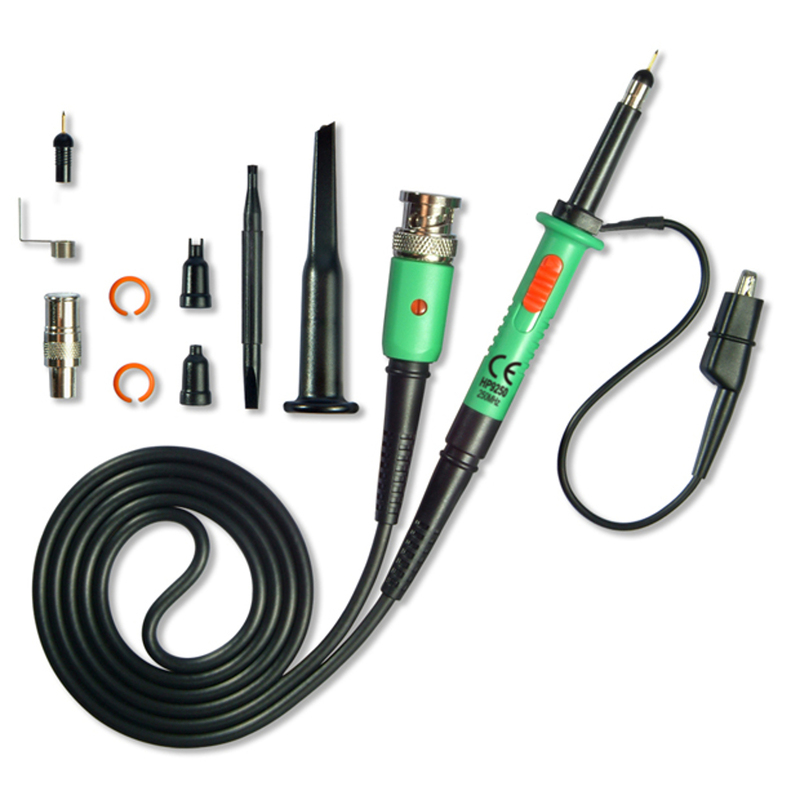 Includes BNC adapter, IC tip, insulating tip & trimming tool.